Texture Builder is rated 5.0 out of 5 by 1. 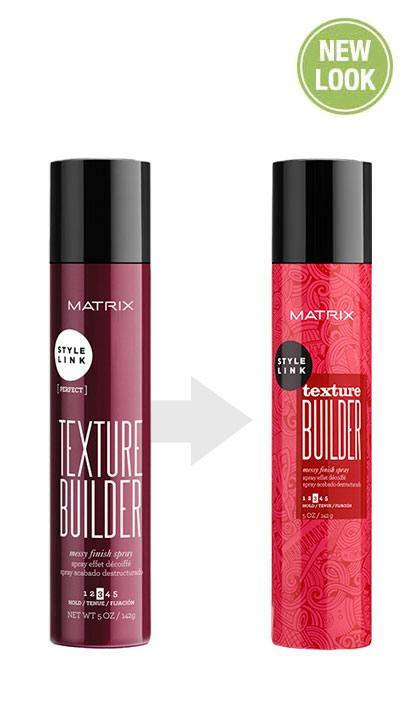 Share https://www.matrix.com/stylelink/products/perfect/texture-builder Texture Builder Messy Finish Sprayhttps://www.matrix.com/~/media/images/product-images/stylelink/2018/sl_texturebuilder_reno_reflect.jpg Finish and hold with an airy texture that allows targeted action to hold volumpe and windswept looks. 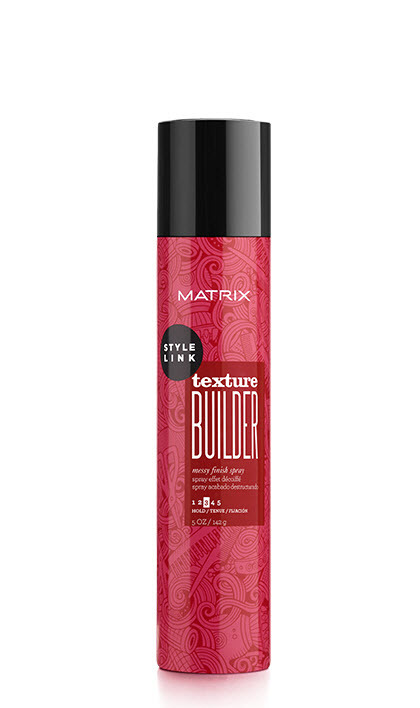 This professional product is the key to a smoothing, anti-frizz finish and a windswept, airy texture. 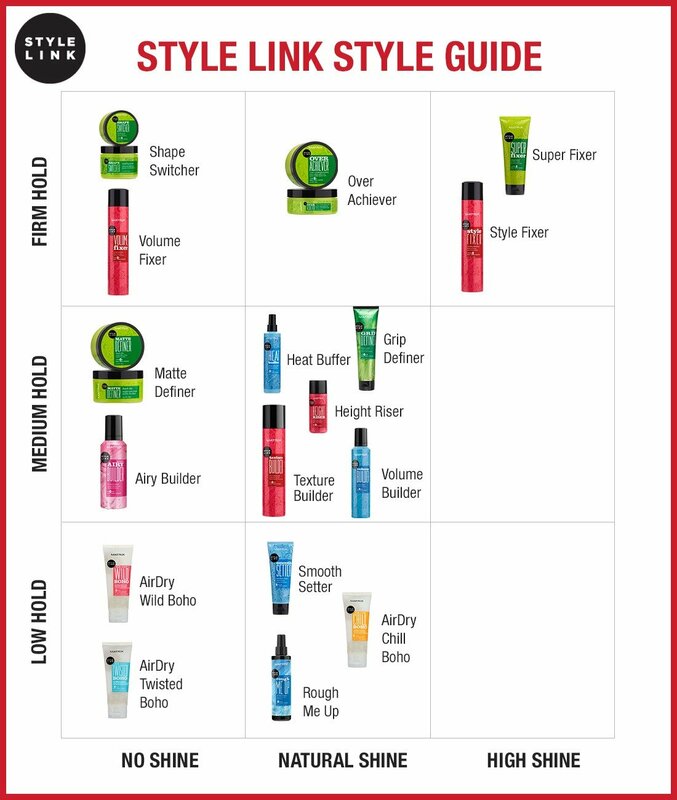 Perfect for adding hold to soft textures and taming flyaways with volumizing styles. An aerosol spray that allows targeted action to hold volume and create looks. A great salon styling secret to create the perfect, natural looking blowout and beachy waves. Also ideal for adding texture and definition to ponytails and braids. Rated 5 out of 5 by KATIEJO from OH MY GOD. This stuff is amazing! Zero to hero for sure! 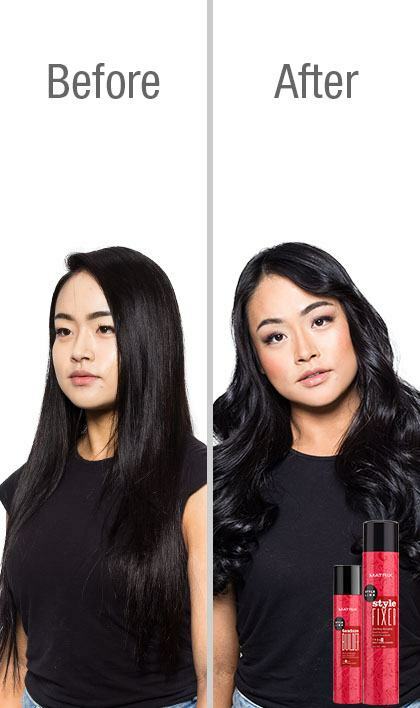 You get instant bombshell hair!